The Ohio Health Department has slapped a $25,000 fine on a Planned Parenthood abortion clinic near Cleveland after an inspection showed numerous violations, including not checking the histories of abortionists working at the clinic, not sanitizing equipment and not disposing of urine samples. According to the report, the violations were recorded during a March 2014 inspection of the Bedford Heights Planned Parenthood clinic, which performed nearly 3,000 “surgical procedures” in the previous year. “We’re deeply concerned, though admittedly unsurprised, that multiple abortion facilities are jeopardizing the lives and health of women,” Mike Gonidakis, president of Ohio Right to Life, said in a press release posted on their website. A cupboard with six blood-collection tubes that expired in February. A drawer with a vaginal swab that expired in November 2013. 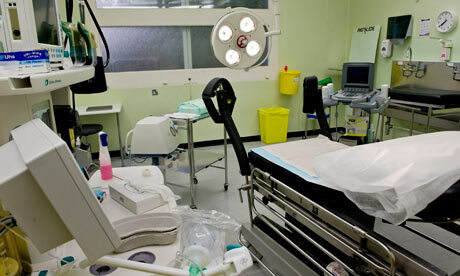 A utility room with a refrigerator freezer used for the “storage of human tissue removed during surgical procedures” and no thermometer or documentation on how it was monitored for malfunctions or temperature variations. No effort by the management to review the credentials or backgrounds of physicians. Medical records that were illegible or incomplete for some patients. Gonidakis called the results shocking.